Storms rolling in that would hide the peak for the majority of the rest of the week provide an amazing storm light evening. 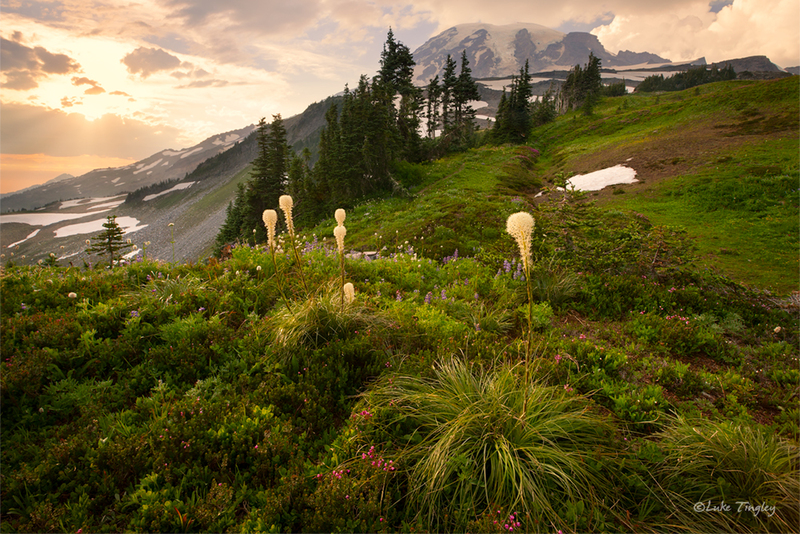 Bear grass is illuminated as the sun ducks behind a cloud making them glow like they're on fire. Photo © copyright by Luke Tingley.